The oldest Millennials are now starting to enter their formative years in the workforce and the youngest of the group will soon graduate from high school. 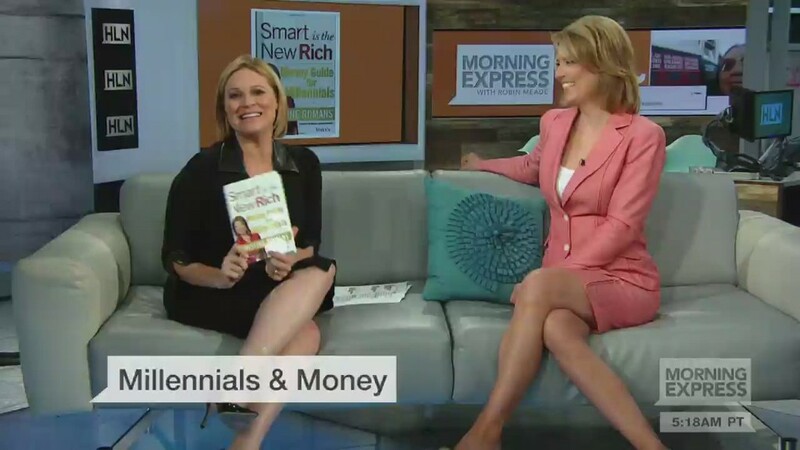 Millions of Millennials are going to be making decisions about what to do with their finances and how much to spend or save for the future. As Millennials think about their financial future, there's one concept over all others that they should understand: compound interest. It's compound interest that leverages the young age of Millennials and the time that's on their side in the market. And time is one guaranteed advantage any investor should take. From an investing standpoint, the biggest thing on your side is time. Even the oldest Millennials have 30 years until they reach a traditional retirement age, and that means your money has time to sit and grow. The power of time can be found in a concept known as compound interest, which essentially means that the money you initially invest will grow over time, but so will the money you make in the meantime. The longer money has to percolate and generate returns the more money you will have when you retire or decide to buy a house or for whatever you plan to do with your money. The table below shows how powerful compounding of money can be. I've calculated how much $1,000 would be worth if it's allowed to compound over 30, 40, and 50 years at annual rates of return varying from 5% to 9%. It shouldn't be surprising that the longer money has to sit the more it will be worth, but look at how quickly the years add to the total. At a 7% return, the money grows nearly four times when given another 20 years. A higher rate of return helps as well, but that's more difficult to control than the time your money can compound. More time equals more money, so start investing early. Piggybacking on the concept of compound interest is that continually investing will help build wealth. Sure, investing $1,000 50 years before retirement is better than 30 years before, but investing $1,000 on a regular basis over time will put even more money on your side. Below is a chart that shows how a small monthly investment will grow over time assuming a consistent 7% return, compounded monthly. If you invest $100 per month when you're 20, by the time you're 70 you will have over half a million dollars. Investing $500 a month over the same time and you're a multi-millionaire. Starting early and investing regularly is the best way to build wealth long-term. And given enough time and a big enough financial commitment, you may grow to be wealthier than you ever imagined. If the idea of saving a few hundred dollars a month is plausible for you and the idea of having hundreds of thousands, if not millions of dollars by retirement sounds good there are some easy ways to start investing. An index fund that follows the S&P 500 like the Vanguard 500 Index Fund (VOO) or the SPDR S&P 500 ETF (SPY) is a great place to start. These funds will mirror the broad S&P 500's return, which is lower risk than buying individual stocks. For an even broader index, the Vanguard Total Stock Market Index Fund (VITSX) or Vanguard Total Stock Market ETF (VTI) track the performance of the stock market overall. That'll give more exposure to small companies, which are higher risk but can also generate higher returns over time.